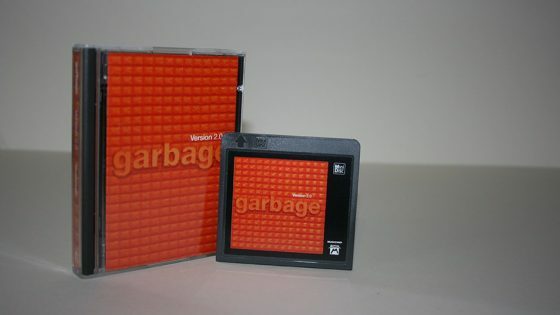 Mushroom Records issued the debut album on MiniDisc almost 5 years after the initial release. It followed the release of Version 2.0 on the same format. 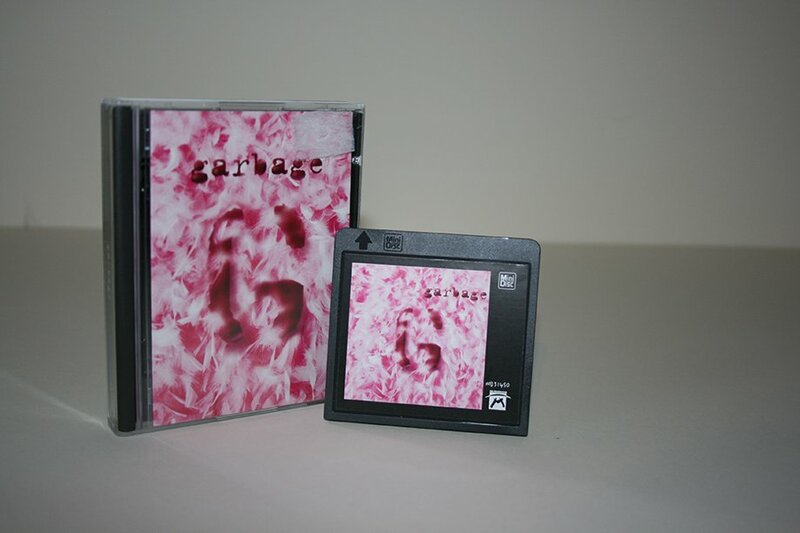 The track listing is printed on the reverse of the Mini Disc with a colour sticker on the front. 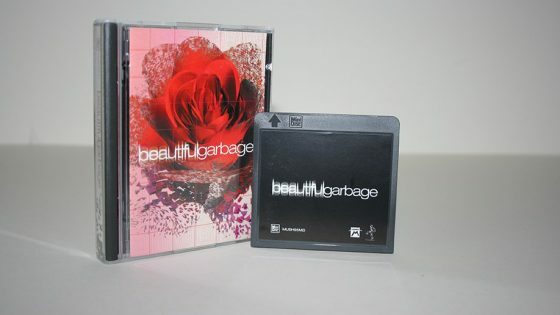 Garbage is printed on the spine of the disc. The booklet has 8 pages with a double page photo on the centre pages, as with previous versions of the debut album the booklet also contained handwritten lyrics and notes by Shirley Manson. 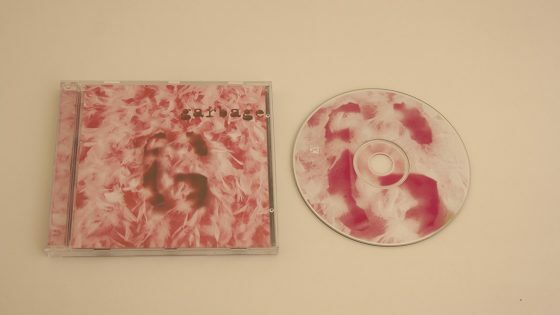 MiniDisc, 13 tracks (Shut Your Mouth / Androgyny / Can’t Cry These Tears / Til the Day I Die / Cup of Coffee / Silence Is Golden / Cherry Lips (Go Baby Go!) / Breaking Up the Girl / Drive You Home / Parade / Nobody Loves You / Untouchable / So Like a Rose) in normal MD case.